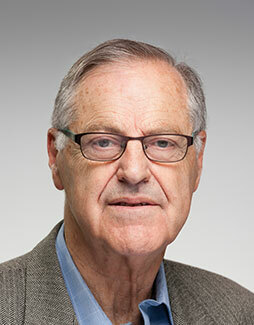 Dr. Hugo R. Chaufan has been serving as Chairman of the Arad group since 2001. Dr Chaufan has more than 40 years of experience in both financial and senior management roles. Among others, he held a number of executive positions in Israel Chemicals, a leading multinational fertilizer and specialty chemicals company, and investment company Isal Amlat Investments. Prior to that, he held a number of senior positions in Israel’s Ministry of Finance. Dr. Chaufan holds degrees in Accountancy and Certified Accountancy, and a Ph.D. in Economics from the University of Litoral, Argentina. Gabi Yankovitz serves as Chief Executive Officer of the Arad Group since 2004 and has led the company’s successful global expansion. 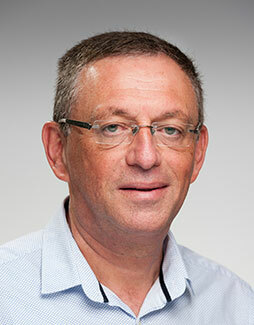 Prior to his appointment as the group’s CEO, Mr. Yankovitz held a number of positions in Arad Group, including serving as Chief Financial Officer from 1999. Ziv Hilleli- acting CEO of Arad Ltd.
Ziv Hilleli has served as chief executive officer of Arad Ltd. since 2018. 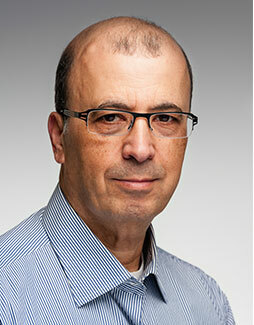 Since then, Ziv has held significant management positions in the company, both as VP of Operations and Quality, and was in charge of Safety and Environmental issues at Arad. Prior to that, Ziv held several management positions in the field of quality and also, at the development department of Elbit Systems. He also served as VP of Quality at Tower Semiconductor. Ziv has a BA degree in Statistics from the University of Haifa, and an MBA from the Hebrew University of Jerusalem. Yosi Twina joined Arad Technologies in 2013 as the Deputy CEO, and was later on appointed to the CEO of the company. Prior to Arad Technologies, Mr. Twina held a number of R&D management positions in High Tech companies in Israel. Mr. Twina holds a B.Sc degree in Electrical and Electronic engineering from the Technion in Israel, and MBA from Tel Aviv University. Jerry Potter has been serving as President and CEO of Master Meter, Arad Group’s North American arm, since 1984. Jerry, who has been in working in the water meter industry since 1972, joined the company in 1982. During his tenure, the company has experienced tremendous growth and shown an industry-leading introduction of new technologically advanced products. Jerry holds a BBA from the University of North Texas. Nissan Barkat has been working for Arad for the last 20 years. During the years of service in the company he was appointed as International Marketing Manager, Domestic Marketing Manager and gained experience in various tasks in the Arad Group. 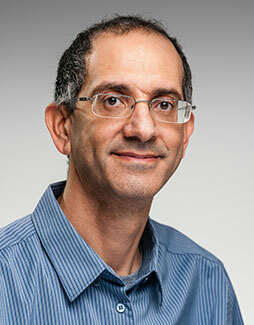 Nissan Barkat holds an MBA degree from the Israeli Management Institute and participated in various management programs. In 2012 Nissan Barkat relocated to China, positioned as founder and manager of the Arad China subsidiary. Isaac Navarro has served as Chief Executive Officer of Contazara, S.A. since 2012. Isaac joined Contazara in 1996 and Arad Group in 2009. Prior his appointment as Contazara’s CEO, Isaac served in several positions in Contazara including QEHS and Technical Director. During these years, he led the technological evolution and the excellence performance of the company. Isaac holds a Degree in Industrial Technical Engineering from Zaragoza University and an Executive MBA.